G’day to all Aussies and Pommies! 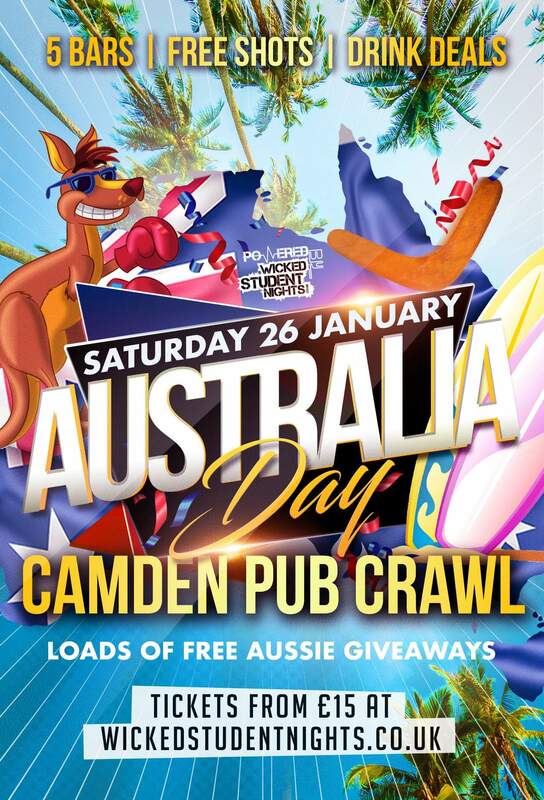 While we can’t do a barbie in the sunshine, look out for drop bears as we take a journey through the outback to 5 different bars/clubs in the big smoke of London with free shots at each venue and free aussie giveaways! So grab your blokes and sheilas, for an ace night of drinks deals on our pub crawl! Our intrepid guides will then take you on a magical tour of some of Camden’s finest drinking establishment!